In February, we were very lucky to have a visit from two psychotherapists Judith and Michelle, who came in to teach us about the Buddy Bench Programme. 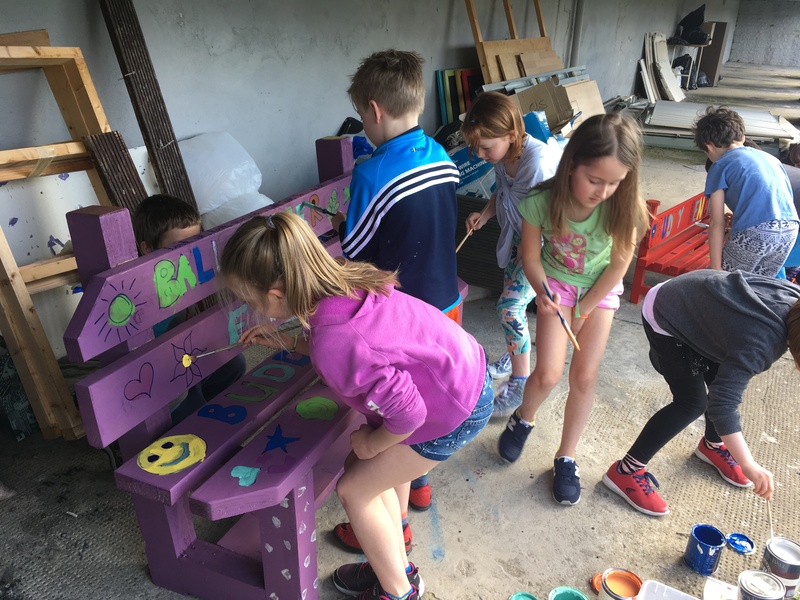 The Buddy Bench Programme is a primary school-based, child-led and positive mental health programme that empowers children to foster friendships and illuminates loneliness in the yard. The aim of the programme is to help the children become more aware of others and enable them to practice kindness and empathy. 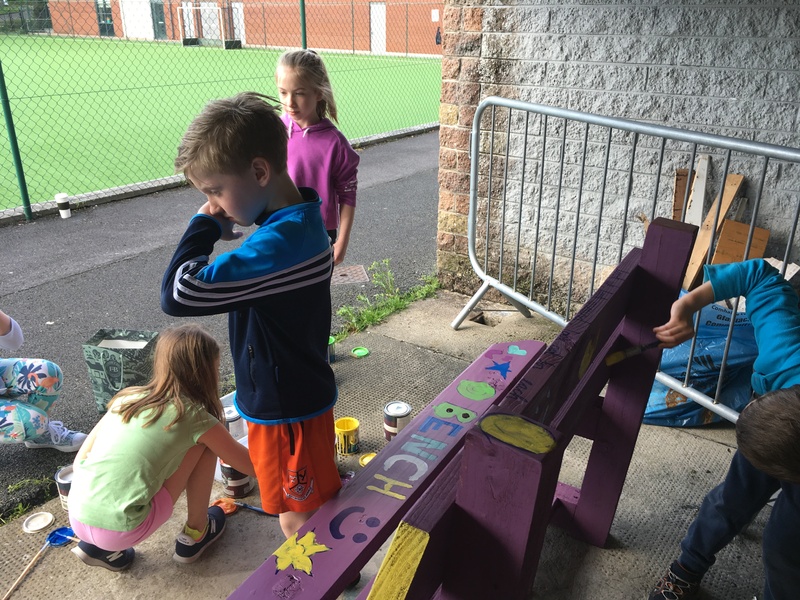 The Buddy Bench motto is ‘”Look Up, Look Around and Look Out For Each Other’. Judith and Michelle brought along two Buddy Benches for us to keep, both made by the Men’s Shed. After the visit, all classes came up with some ideas and designs for the Buddy Benches. These were collected by the Student Council who looked through them all and finalised the design. 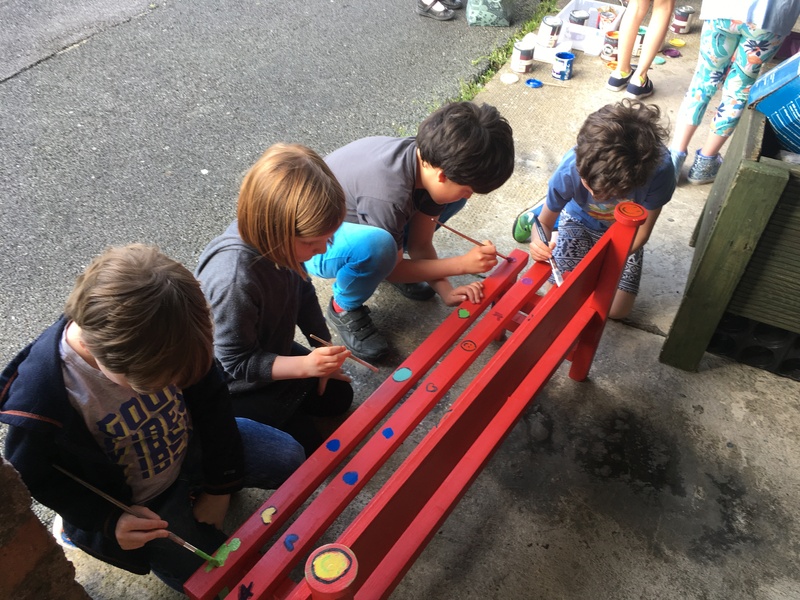 It was also the responsibility of the Student Council to paint the benches. Soon, the beautifully decorated benches will be out on the yard. 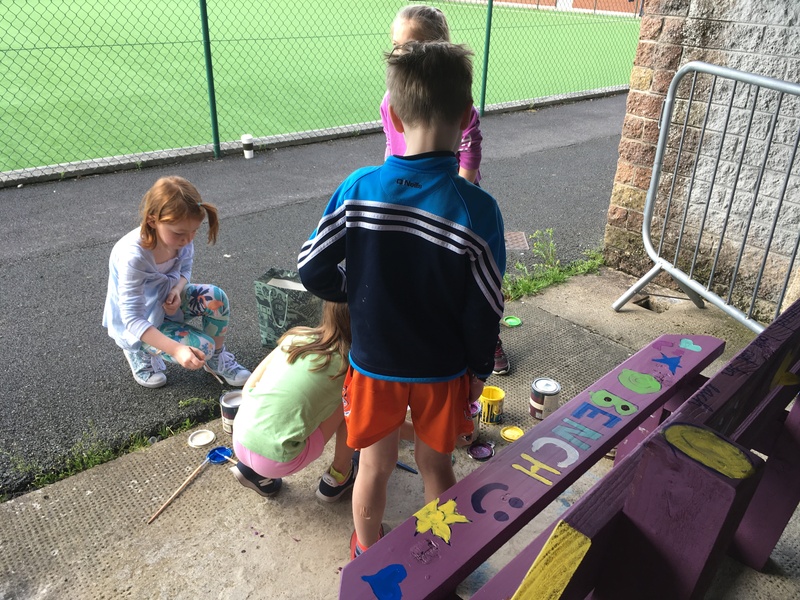 The children will be encouraged to monitor the benches for anyone who may be feeling sad or lonely and to offer them kindness and friendship. We know the children will really embrace this new initiative.